Pacifico by NMS is offering an exclusive ‘first-look’ event on Wednesday, June 8th, 2016 to showcase their recently-launched Santa Monica Apartment homes. This free event will be held at the Pacifico by NMS apartment building, and will be open to the public. The "First-Look" Launch Party Event will be held on 6/8/16 at 5:00PM. Please RSVP if you plan to attend this free event. 'Pacifico by NMS' (http://www.pacifico-nms.com) is offering those who would like to live in Santa Monica, California the chance to be among the very first to explore the famous beach town's most recent apartment living option. The launch party will provide an exclusive first-look at Pacifico by NMS's extremely limited supply of apartment rentals in one of the most sought-after areas of Santa Monica. The June 8th, 2016 event will take place at 5:00 pm on 1445 9th street in Santa Monica. The free event will include refreshments, in addition to a fantastic opportunity for networking in Santa Monica. The event is slated to last two hours, ending at 7:00 pm. The Pacifico by NMS boutique-style apartments conveniently reside within one of the most walkable locales within the Los Angeles area. 9th Street is often considered a quieter option to downtown Santa Monica, while still maintaining the pedestrian and bike-friendly options that many Santa Monica residents have come to love. The recently completed Expo line is just steps away, and offers a simplified and time-saving method of commuting for Santa Monica residents who work or travel outside of Santa Monica. Pre-leasing of the Pacifico by NMS (http://www.pacifico-nms.com) apartment homes has already begun, with apartment homes currently being rented to eager residents. 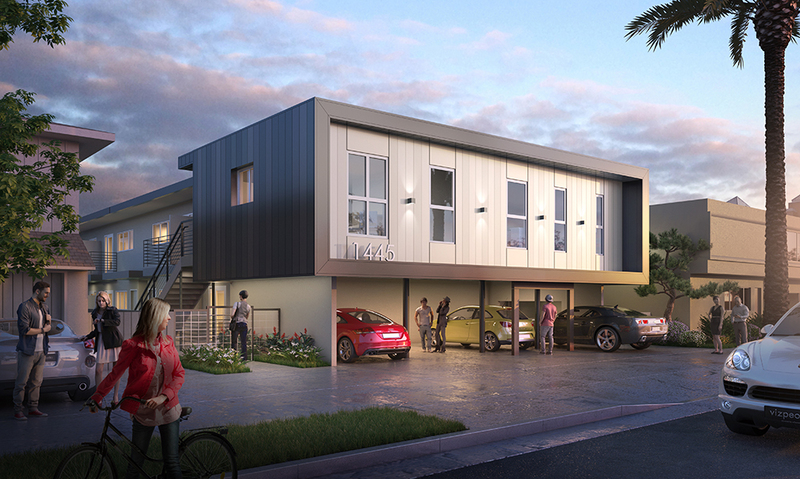 With only 11 apartments up for grabs, the chance to live at Pacifico by NMS will certainly not last long. Having undergone a complete exterior and interior “facelift”, Pacifico by NMS offers modern luxury and an unbeatable location just steps from Santa Monica Pier, 3rd Street Promenade, and Santa Monica Place. Each unit has been fully-equipped with brand-new amenities that are sure to impress. One or two-bedroom apartments feature new hardwood-style flooring, professional grade stainless steel appliances, reserved off-street parking, central air conditioning, and quartz countertops. For those who also work where they play, these units offer convenient built-in shelves and a work/study nook that could also double as a functional bar area. NMS Properties, Inc. (http://www.nmsproperties.com) is a privately owned real estate development and management firm that specializes in the acquisition, entitlement, development and management of multifamily and mixed-use properties in the Greater Los Angeles area. NMS’s portfolio includes luxury, mixed-use, and affordable residential units along with retail and commercial properties within core L.A. markets.